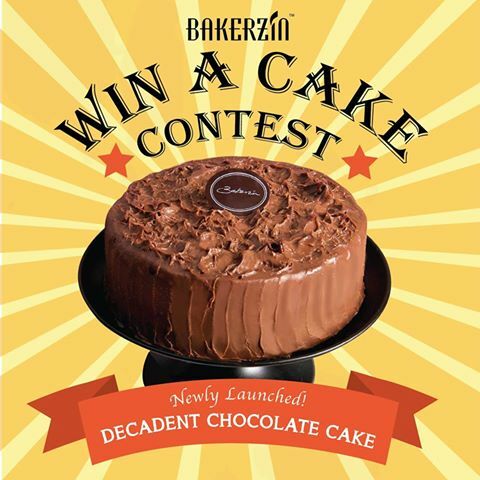 Monday | February 20, 2017	We're giving away a Bakerzin gem - the Decadent Chocolate Cake! All you have to do is: Click on the 'FIND OUT MORE' link above, follow the steps listed in the Facebook post and stand a chance to WIN! Contest ends 24 Feb 11:59pm.